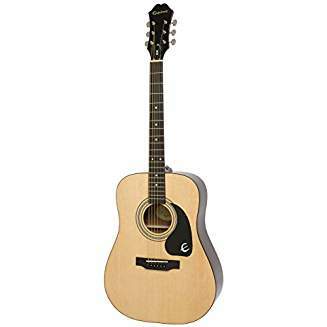 Buy Epiphone acoustic guitars at amazing discounts. After several years of mis-direction, Gibson's parent company, Chicago Musical Instruments, bought Epiphone and made it a division of Gibson. In 1958, Gibson introduced a revamped Epiphone line, made by Gibson workers in Kalamazoo, Michigan. 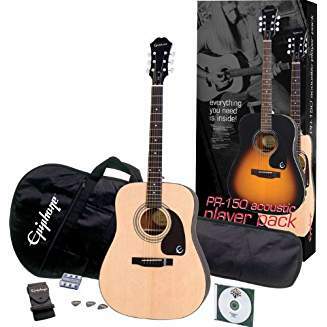 These instruments immediately restored the respect and prestige of the Epiphone brand name. 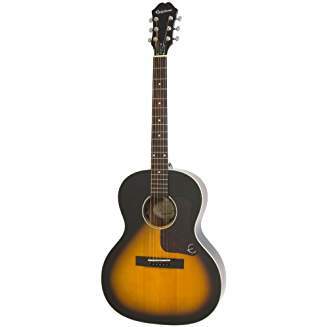 Today, from it's headquarters based in Nashville, TN., Epiphone is the world's number one seller of fretted musical instruments. 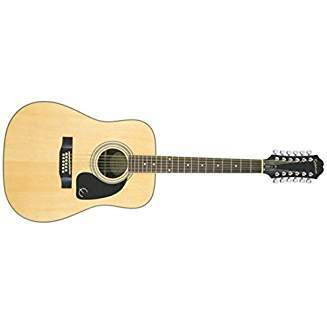 With a wide selection to choose from including acoustic, acoustic/electric, and electric guitars as well as acoustic, acoustic/electric, and electric basses, fine archtop guitars and bluegrass instruments, amplifiers and PAs, no other manufacturer offers better selection, quality, and price.